The Clinical Ethics Interest Group will host an interactive workshop on Michigan’s advance directive laws and talking with patients about end-of-life decisions. Tom Tomlinson, Director of the Center for Ethics, will be the featured speaker. The workshop will take place on September 19 from 12-1 pm and can be attended on MSU’s East Lansing Campus in room B105, Life Sciences building, or the Grand Rapids campus in room 220, Secchia Center. It is the goal of the Clinical Ethics Interest Group to make the College of Human Medicine student body more aware of clinical ethical issues and help them understand which actions are considered right or wrong in a clinical setting. 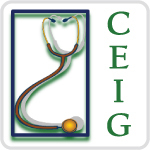 The Clinical Ethics Interest Group is sponsored by the Center for Ethics and Humanities in the Life Sciences. This entry was posted in Bioethics Events, Center News, Outreach, Teaching and tagged advance directives, bioethics, clinical ethics, end of life decisions, end-of-life, Tom Tomlinson. Bookmark the permalink.